Wine of Valle Central, Chile. Winemaker's Note Crafted using grapes from three of Chile's coastal regions. This cooler climate brings out the best qualities as the grapes ripen later, allowing the intense fruit flavours to shine through. 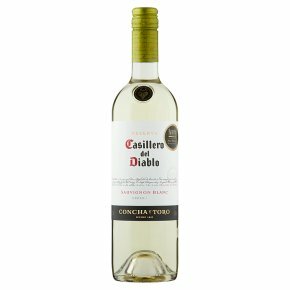 How it Tastes A refreshing light-bodied Sauvignon Blanc with zesty peach, citrus fruit and gooseberry flavours. Enjoy with fish, shellfish, salads, soups or as an aperitif.